Plot: A compassionate young man, raised in an orphanage and trained to be a doctor there, decides to leave to see the world. I saw this film shortly after it came out in 2000 but I could not remember anything about it except a flash of someone reading rules on a wall. Needless to say, it is one of the finest films made in the late 20th century. There is a general theme running through the film with several sub stories. The major theme of the story concerns the journey, geographical and psychological, of a young man who was raised in an orphanage in St. Cloud, Maine. Homer becomes the apprentice of the orphanage director Dr. Larch, who teaches Homer all he knows of medical knowledge. At maturity in his 20s, Homer has become a skilled, but unlicensed, physician. Although he loves and is greatful to Dr Larch, Homer wants to experience life outside of the orphanage and to make his own way in the world. Dr Larch provides abortions to women who find themselves in pregnancies which they don't wish or cannot afford. The abortions, of course, are illegal in this pre-Roe vs. Wade America, and although Homer has assisted him in these procedures, he is not comfortable with doing so. Enter a couple, Wally and Candy. Candy is pregnant and has come to the orphanage yo receive Dr. Larch's procedure. Homer sees this as an opportunity to befriend the couple and leave with them to work on Wally's family apple farm. 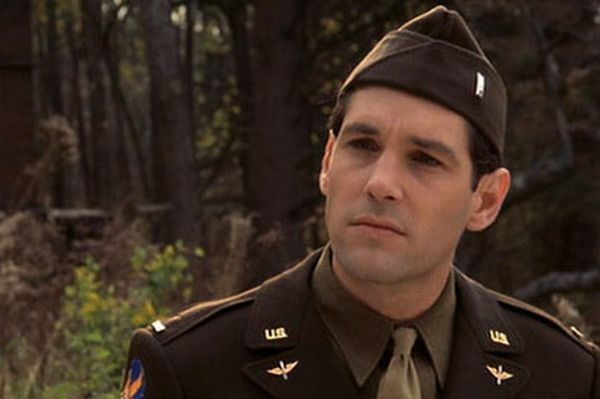 Wally is in the military and is called to active duty in WWII, leaving Homer and Candy alone together. A developing romance between Homer and Candy becomes one of the sub themes of the movie. Another theme concerns the apple cider house's boss, Arthur Rose, and his incestuous relations with his daughter Rose. Arthur is angry with the rules posted on the wall of the cider house, restricting the movements of the workers residing there, complaining that the ones who wrote the rules don't have to live in the house with them. Ina moment of frustration he persuades Homer to agree to burn them. 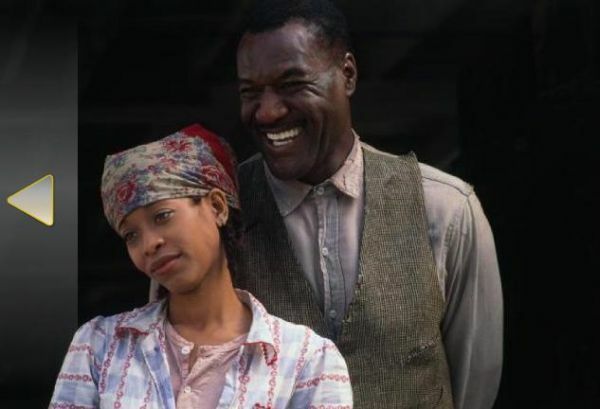 As the film moves on, Homer feels he must confront the situation of Rose's unfortunate pregnancy and the situation of Wally's return from the war as a parapalegic. He must also respond in some way Dr. Larch's plan to have him return to the orphanage as the doctor before Larch die's from a terminal illness. I will not disclose the denoument of the movie and Homer's ultimate solutions to these situations. I encourage you to see the film if you have'nt already. As I watched the movie and afterwoards, I could not help but feel that the story is a metaphor for something beyond the plot. And I was right. "Each season, a list of rules is posted in the cider house at Ocean View Orchards. The apple picking crew, however, ignores the rules. “We got our own rules,” explains Mr. Rose, the picking crew boss. The rules posted at the cider house stand as a metaphor for the rules of society. As Homer learns for himself when he begins breaking the law to perform abortions, sometimes a person must break the rules in order to do what is right. Rather than blindly follow the rules imposed from the outside, people need to make their own rules to live by. 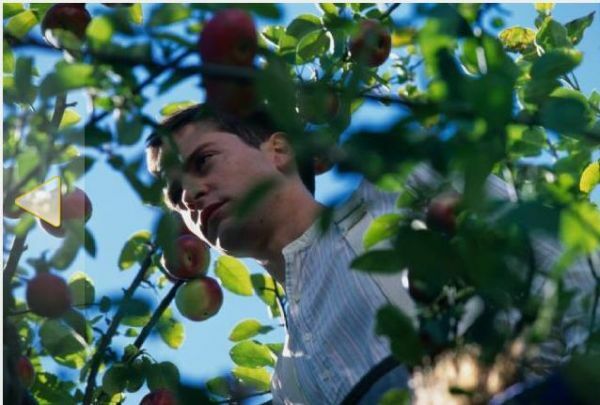 The Cider House Rules is in the tradition of such nineteenth-century coming-of-age novels as Dickens’s Oliver Twist and David Copperfield, or Brontë’s Jane Eyre. Like those classics, it chronicles the education of an orphan who learns to make his way in the world. Quotations from Dickens and Brontë recur throughout The Cider House Rules, mirroring the thoughts and experiences of Homer, Melony, and the other orphans at St. Cloud’s." 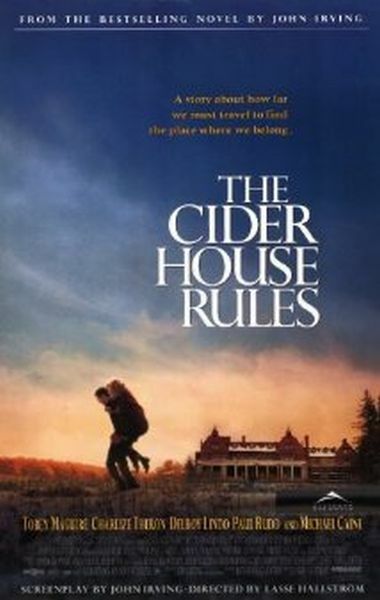 Author John Irving describes The Cider House Rules as a didactic novel—that is, a novel with a message. The central message of the novel is that anti-abortion laws are unjust and unreasonable, as they lead to the death of women who, regardless of the law, will seek to end their pregnancies by any possible means. The novel The Cider House Rules presents various examples of violence toward women, creating a picture of a sexist society in which women are often victimized. Grace Lynch suffers regular beatings at the hands of her brutish husband, Vernon. Although the abuse is known to all, nobody steps in to help Grace. Rose Rose is physically and sexually abused by her father, Arthur Rose. The other pickers stand outside and do nothing as Mr. Rose rapes his daughter. They know it is wrong, but again, fail to intervene. 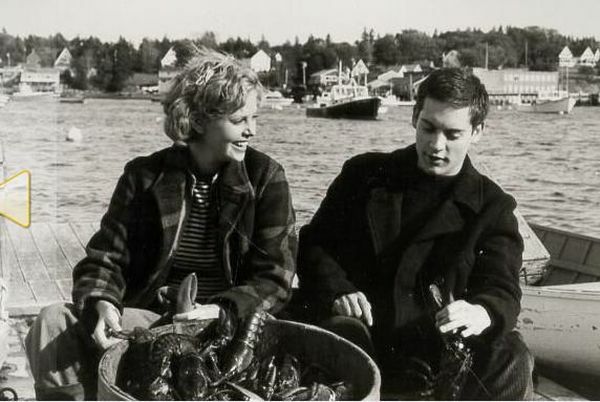 Charlize Theron as Candy Kendall; Charlize is proabably one of the most beautiful women in the world except when she appeared in MONSTER cast against type. There are just too many movies that she has been in which I enjoyed. My own grand daughter is named after her. 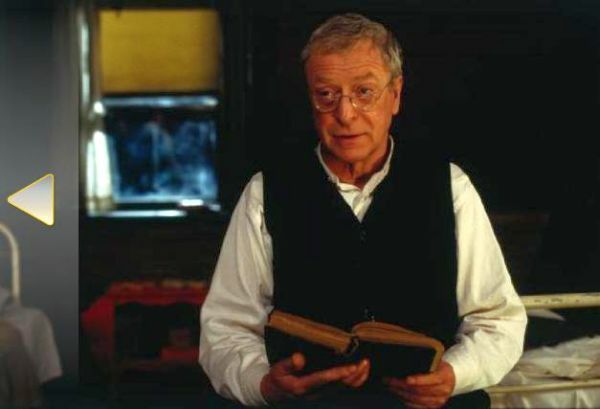 Michael Caine as Dr. Wilbur Larch, has come a long way since ALFIE. No longer young, he remains as charming as ever and a treat to watch. Jane Alexander as Nurse Edna; Jane, a beautiful woman; I first saw her with James Earl Jones in THE GREAT WHITE HOPE and have admired her ever since. The scenes featuring the orphanage were filmed at the Northampton State Hospital, an abandoned mental asylum in Northampton, Massachusetts. Leonardo DiCaprio, Ethan Hawke, Edward Norton, Ryan Phillippe, Joseph Gordon-Levitt, James Franco, Jake Gyllenhaal, Paul Walker, Mark Wahlberg, Matt Damon, and Ben Affleck were considered for the role of Homer Wells until Tobey Maguire got the part. Liv Tyler and Tori Spelling were considered for the role of Candy Kendall. One of the attractions of adapting the film for author John Irving was that he wanted his son, Colin Irving, to play Wally Worthington. However, as the development process took over a decade, eventually his son was too old for the part and was not known enough to be considered for it in any event. However, the role of Major Winslow did ultimately provide Colin Irving a part in the film. The orphan that gets into the pie dough and eats all of it and is shown throwing up all over the orphanage is named 'Steerforth'. Steerforth is the name of one of the main character's friends in the Charles Dickens book "David Copperfield" which Homer reads to the children in their bedroom. John Irving makes a brief cameo as the St. Cloud stationmaster. Michael Winterbottom was once set to direct but pulled out due to his impatience with the lengthy development process. The rules that Homer "reads" do not match the typed list we see. When the orphans watch King Kong, the giant ape peels off Ann Darrow's clothes. That scene was cut shortly after the premiere, and was not publicly available until 1971. The package containing Homer's doctor bag bears four examples of a stamp honoring railroad engineers that was released on April 29, 1950. The scenes at the drive-in feature a full cinemascope-sized screen. Cinemascope was not available until 1953. As Wally and Candy arrive at the orphanage, Curly can be seen running down the steps to approach their car. He looks as if he's helping to open the door, directly in front of Candy. However in the next shot Curly's seen running in from the left to introduce himself to Candy. Alligator Crawl - Composed by Fats Waller - Performed by John Lenehan - Published by Edwin H. Morris & Company, A Division of MPL Communications, Inc. (ASCAP)/Bienstock Publishing Co. (ASCAP) obo Redwood Music Ltd.
Song of the 30's - Composed by Jerry Mengo - Performed by Jerry Mengo & His Orchestra - Published by Cypress Creek Music (ASCAP) - Courtesy of Promusic, Inc.
Count My Fingers - Composed by Jack Trombey - Published by Rouge Music Ltd. (ASCAP) - Courtesy of DeWolfe Music Ltd. Discuss The Cider House Rules (1999) on the IMDb message boards.